SCBWI South West kicked off the year's events with an informative talk by Gill McLay of Bath Literary Agency, on Saturday 26th January 2019. Lydia Massiah reports. Gill McLay has a wealth of experience in the world of children’s books – in fact it would be hard to find someone more qualified. For 25 years she worked in publishing, and she and her husband then set up the Bath Children’s Literature Festival, which attracts the biggest names in children’s writing. 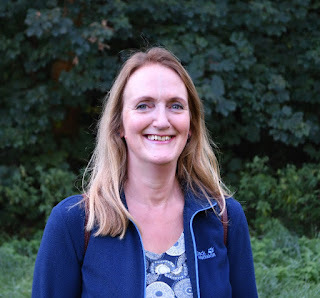 She now runs the Bath Literary Agency which specifically represents children’s authors. Working as a writer or illustrator is extremely personal, and sharing your creation is very exposing. But sharing your book with the world means it will become your agent’s, your publisher’s and your readers’ book too, and writers and illustrators have to be open to this. “Books are like children, and once they go to school, you have to let other people help bring them up,” said Gill. She explained the importance of being flexible when changes are suggested by publishers, and even knew of book deals lost because of the way authors had responded. Gill McLay at the SCBWI event in Bath. It’s essential to find out about an agent’s area of specialism, be it marketing based, or editorial, to decide what suits you best. Try to meet them, because you need to have a relationship where you’re comfortable discussing things and asking questions. Your agent has to be there with the tissues and the tough love – as well as the champagne for the book deal! Agents know publishers and editors so well, they will know who loves rabbits for your MG Watership Down, or whose holiday home happens to be on the stretch of coast where your novel takes place. Agents are your literary partners – and they’ll fight your corner. Editors know the markets and they know what works, so writers need to be prepared to listen – though you don’t have to agree to every change they suggest, if you can argue why something needs to exist. From signing to publication, the schedule is typically eighteen months to two years, which gives some idea of the amount of work involved before a book is ready to hit the shelves. Within the publishing team are Marketing, Publicity, Sales and Rights departments and it’s important for an author to understand their different roles, to appreciate what happens in each. Introduce yourself to the different team members, and do everything you can to support them. Gill drew a large crowd at the SCBWI South West event. Marketing find the strategy for sales in shops and online. They get your book into bookshops, on booksellers’ lists, arrange advertising, and also set the budget for all this. Publicity departments, in contrast, will work on promotion of the author and book, such as press releases, reviews by bloggers etc, book signings and festivals. Sales teams hold increasing power within a publishing house, because they know what sells. They pitch your book to the marketplace: to trade (bookshops), to wholesalers (like supermarkets and book club accounts), and for export to English-speaking countries like Australia. Rights departments broker international deals for intellectual property rights, which are hugely important to the success of a book. These rights are chiefly sold at the Bologna, Frankfurt and London book fairs. Books in translation, or altered for the American market, generate more income. Gill emphasised the importance of librarians and teachers also, and their role in getting books in front of children. Remember one in eight children don’t have books in the home, and they can only access your writing through schools and libraries. After the talk, there was an intense critiquing session where the group looked at query letters and synopses. The journey from writer to author is a steep learning curve, and it can be long too. Know what you want to do, and stick at it. 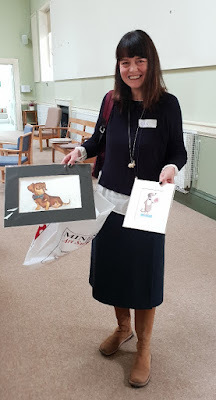 Afterwards Gill was presented with drawings of her little dachshund, Gatsby (pictured in header image). Many thanks to illustrators, Dulcie Mascord and Jess Stockham, for providing these, and to Rita Lazaro for organising such a great event. To benefit from everyone being together, we spent the rest of the afternoon in PB and MG/YA critique groups, to complete an extremely worthwhile day.